One time is never enough for a PISSARRO exhibition. After seeing it in Madrid, I had to go to Barcelona to see it again. 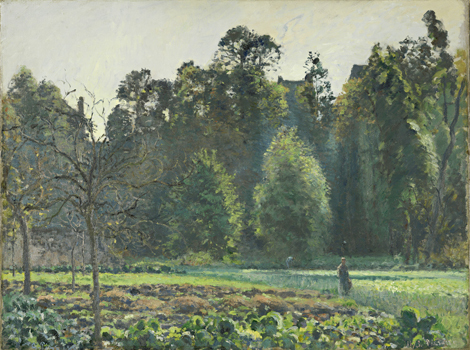 The exhibition is superb; the choices of paintings are thoughtful; and the diversity of Pissarro’s techniques is stunning! If you will be in Europe, go to Barcelona to see the PISSARRO exhibition at the CaixaForum. PISSARRO’S PLACES is on sale at the CaixaForum and at the Excellence Bookstore in Barcelona.